Canon have been busy today, introducing the new EOS 60D and a handful of lenses including: EF 70-300mm f/4-5.6 L IS USM, EF 8-15mm f/4 L USM, EF 300mm f/2.8 L IS II USM, EF 400mm f/2.8 L IS USM and if that is not enough, they announced development of new EF 500mm f/4L IS II USM plus an EF 600mm f/4L IS II USM. Also announced earlier this wee was the successful development of an APS-H sized CMOS sensor with 120 megapixels – that is right 120mp. Read on for more details. 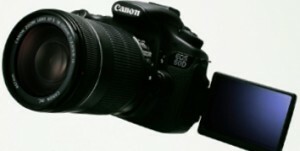 After the release of the EOS 7 D and the EOS 550D Canon were always going to be under some pressure to reposition the EOS 50D replacement, the new EOS 60D. 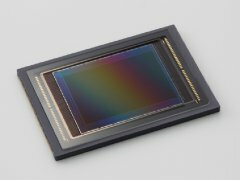 They could not put less of a sensor in the camera but at the same time 7D sales would suffer if it was too similar to that. So it is sad to see in some ways the end of an era of a well built middle range camera. With the EOS 60D it is goodbye Compact Flash cards and magnesium body, hello SD, smaller and lighter plastic while retaining the old 50D AF system and adding an articulated screen (like on some of the PowerShot G series cameras) and SD Card slot. Following the launch of the EOS 5D mk II some time back, Canon committed to improving their lenses to meet the requirements of the new higher resolution sensors. So we wont spend much time on their continuation of that in the new 300mm& 400mm f/2.8 or the development of lighter 500mm & 600mm f/4 lenses. The real interest is in the actual new lenses announced. 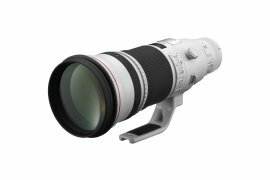 The EF 70-300mm f/4-5.6 L IS USM seems to be Canon’s answer to Nikons 70-300mm VR and Sony’s 70-300mm G-series lens both of which were better than the standard Canon lens in this range and cheaper than the (somewhat puzzling) 70-300mm DO lens Canon has previously been punting as their ‘pro version’ of a 70-300mm. It will be interesting to see what the price is. Even more fascinating – and my hands are itching to give it a try – is the EF 8-15mm f/4L USM fisheye zoom lens. When I try to imagine the potential picture opportunities with this I can’t help but get excited. This should come as no surprise when you think of what Canon demonstrated with their Wonder Camera concept, but at the same time it is still hard to believe that it is possible to squash so much onto something so small. Time will only tell when we will see it in production and how well it will actually perform, particularly with noise levels.